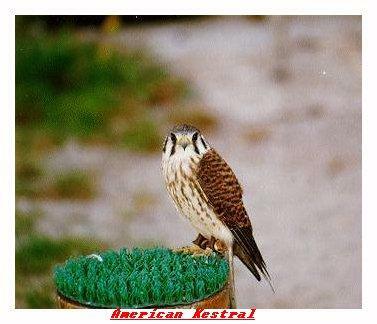 American Kestrel (Falco sparverius) is a small falcon. This bird was formerly known in North America as the Sparrow Hawk. This name was misleading because it implied a connection with the Eurasian Sparrowhawk Accipiter nisus, which is unrelated - the latter is a accipiter hawk rather than a falcon.